The message is loud and clear that there is room for improvement in the online hotel booking process. It starts off as simple, but becomes simply too complicated when a traveler wants to change their booking. Fortunately, Facebook Messenger has arrived just in time to help hospitality brands optimize and maximize online hotel booking. By integrating Facebook Messenger into the online booking process, hotels can improve the customer experience by reducing the frustration and friction that typically transpire in these transactions. HotelMarketing.com explored how incorporating Facebook Messenger can help hotel brands boost their bookings and business. Travel is about the experience, but today that experience starts long before the actual trip begins. Often, a customer’s first contact with a hotel is the online booking process. It must be fast, friendly, and focused on giving the customer an optimal experience. Yet the problems often start when customers try to change their hotel bookings. It can be tedious and time consuming to communicate any updates directly to hotels. But with Facebook Messenger, a customer can send an instant message to their hotel with an update about a bookings change. This will allow direct communication and update confirmation without a confusing string of emails or waiting on the phone for hours for customer service assistance. Using Facebook Messenger can also result in more revenue. While the messaging service gives travelers direct access to hotels, it also gives hotel brands direct attention to travelers. This allows brands to present upsells, upgrades, and updates in a more personal way than through one-way emails and confirmation pages. It also lets a hotel customize an upsell to meet a traveler’s needs. This makes the offer much more appealing and increases the rate of response to the upsell, which improves the hotel’s revenue. 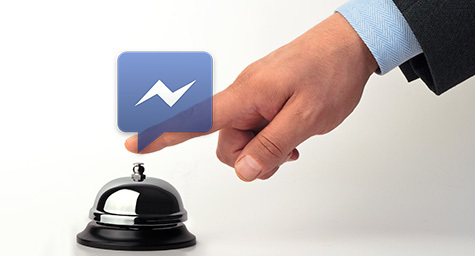 By integrating Facebook Messenger into online hotel bookings, hotels can ease the customer experience by expediting the booking process and creating a connection with customers. This can transform an online booking into an ongoing relationship. Stay up on hospitality marketing trends. Contact MDG Advertising.